It’s a fun bit of whisky trivia that Port Charlotte whisky is not actually made by the long-since-closed distillery of Port Charlotte. 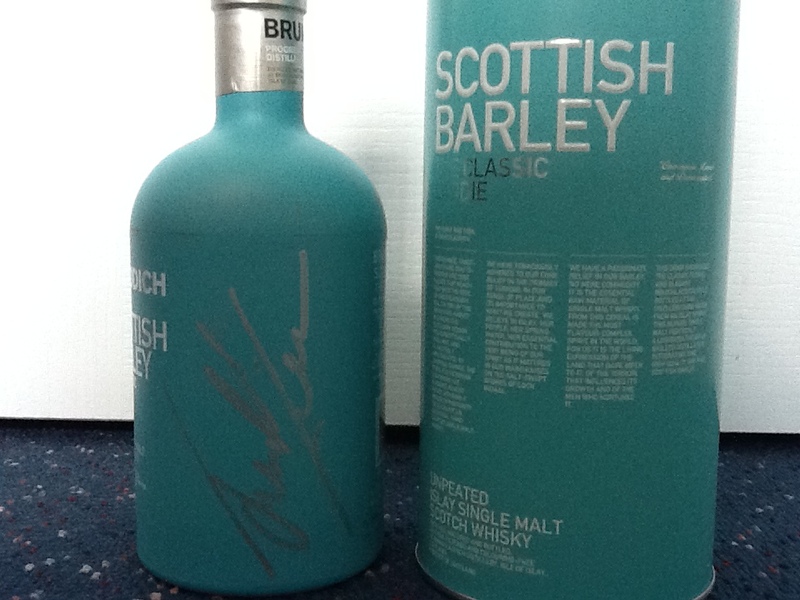 Instead, this particular drop is made by Bruichladdich Distillery as a tribute to their heavily peated ex-neighbours. I for one certainly cannot deny that the product Jim has created to bear the Port Charlotte name tastes “good”. In fact, if I were to give my tasting notes in a solitary word, I would simply say: bacon. And everyone loves a bit of bacon, right? Of course, this site is called ‘Whisky Waffle’, not ‘Whisky-we’ll-keep-it-brief-ok’. Apart from the latter sounding silly, we’ve found that we do rather like to bang on a bit with pretentious tasting notes. Speaking of which, this whisky has a nose like an Australian barbecue. Barley peated to 40 parts per million ensure smoke and cooked meat flavours waft oh-so-unsubtly over peppery notes and a dash of dark chocolate. The palate is pleasantly spicy – no doubt an influence of the slightly higher bottling strength of 50%. The flavours on offer include salami, smoked salmon and of course, the aforementioned bacon. The meat theme lingers long after the whisky is gone, leaving the sensation of having polished off a particularly satisfactory scotch fillet (pun well and truly intended). 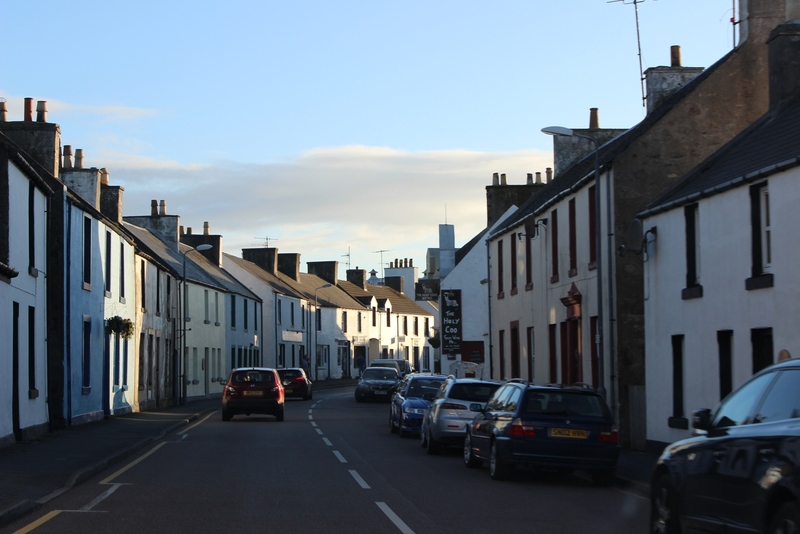 The release of the Port Charlotte range by Bruichladdich has rekindled an interest in the history of the grand old distillery and there have even been talks about building a new facility on the old site. However, this project seems to have stalled for the time being with no updates as to whether it might go ahead. Fortunately, thanks to this particular whisky, we have access to the next best thing: a dram that, seventy years from now, we can reflect on and happily label it as “good”. 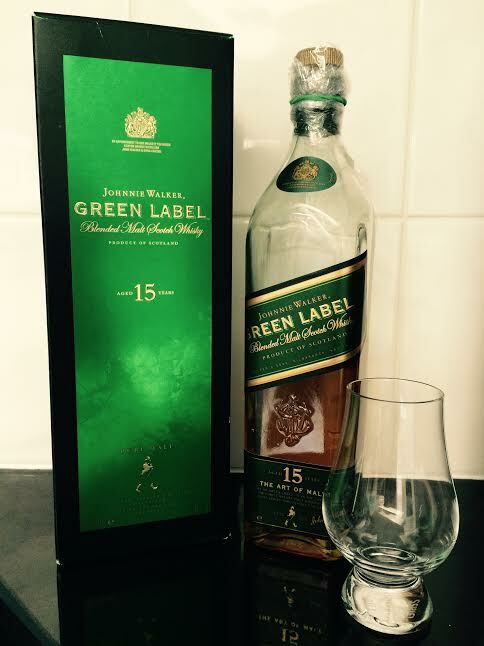 Johnnie Walker Green Label is – or I should say was – a bit of an anomaly in the family. Unlike the others which are all blends including grain and non-malt whiskies, Green was a blended malt made up of only four whiskies, all single malts. This gave it the quality of arriving like a blend then developing on the palate more like a single malt. It’s nose complexity was also more akin to a single malt, and the better noses out there could probably pick the distilleries involved from the smell. I happen to know what they were, but so as not to spoiler, you’ll have to ask me. Now a rare and hard to find malt, Green is consigned to the archive of Johnnie Walker’s bond store along with the Gold Label 18 (they’ve removed the age statement for the current variant) and the elusive Johnnie Walker White Label which I have never tasted. If you find a sealed bottle of Green, you may want to hold onto it for its value but I would strongly encourage you to pop the cork and taste a true exception to the rule. If you spot a half open bottle on a friend’s shelf or in a dark musty pub, encourage the friend to crack it at a party or buy it shot by shot from the wizened landlord. If you are a single-malt snob who sees the word blended and runs a mile from the likes of Green and the very delicious Blue Hanger, thank you. More for the rest of us. Johnnie Walker: which is best? The more I discover about the Tasmanian whisky scene, the more I appreciate the close-knit little community that has developed. People are friendly, enthusiastic and willing to help out one another to ensure this thriving industry continues to boom. Our website is only a tiny part of the bigger picture but we would love to help foster this sense of community. And on that note, we would like to announce the next writer upon Whisky Waffle: YOU! Well – it could be you! If anyone has a piece they are keen to share with the world, or a dram they are desperate to review, send us an email at whiskywaffle@gmail.com and let us know! 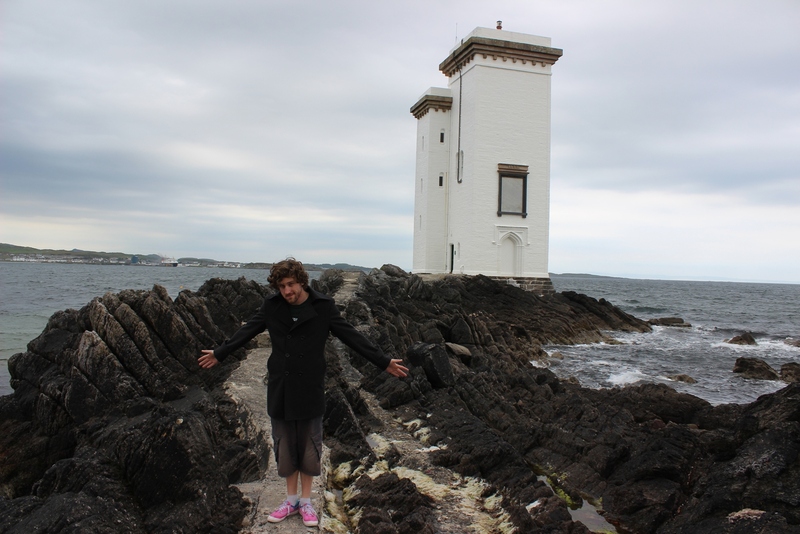 So with no further ado may I introduce our first guest contributor: Mr Alex ‘Mooresy’ Moores! Mooresy and Nick are in ‘good spirits’ after meeting Jim McEwan. See what I did there? I met Mooresy while attending the Jim McEwan night last Thursday and was impressed by his enthusiasm and passion for the water of life. His first review will hit the site tomorrow and I assure you, it’s a cracker of a read. Make sure you stop by to check it out! Photo provided by the TWAS. Used with permission. They say you should never meet your heroes. 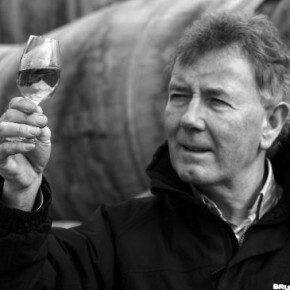 But in the case of Jim McEwan, master distiller of Bruichladdich, they could not be more wrong. On Thursday the 9th of October, in Howrah of all places, I had the great pleasure to meet an absolute legend of the whisky world. His introductory spiel described him as “a man you should move heaven and earth to see”. He himself informed us that after six drams I would be thinking of him as a rock star. That wasn’t true. In my eyes, he was a rock star before I had touched a single drop. The only photo I managed to get taken before my cameras memory filled up. Typical. Upon walking into the venue I could have been forgiven for feeling out of place. 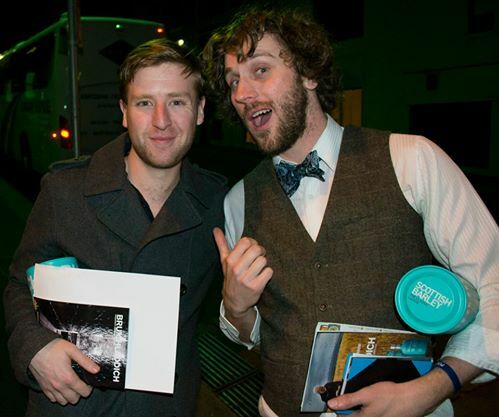 I was possibly the first person to ever wear a bow tie into the Shoreline Hotel. But I quickly realised I was right where I intended to be after spotting a who’s who of Tasmanian whisky: Tim Duckett. Dean Jackson. Casey and Jane Overeem. Richard Stewart. And of course, Robbie from Lark. The person we had come to see, however, was from slightly further afield and made his entrance in a style befitting of a master Scottish distiller. 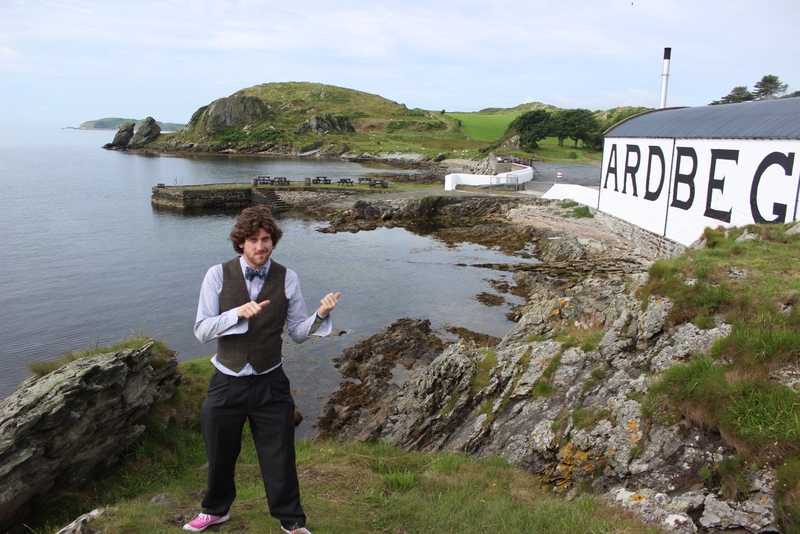 Clad in a black suit with Bruichladdich-Blue shirt and tie, he marched into the room to the sound of blaring bagpipes. And there he was, the self-proclaimed ‘cask whisperer’ himself (he confessed he enjoyed talking to his whisky barrels with phrases such as: “you are so beautiful”). Jim laughed and grabbed a bottle to refill the glass and did so – right to the top! 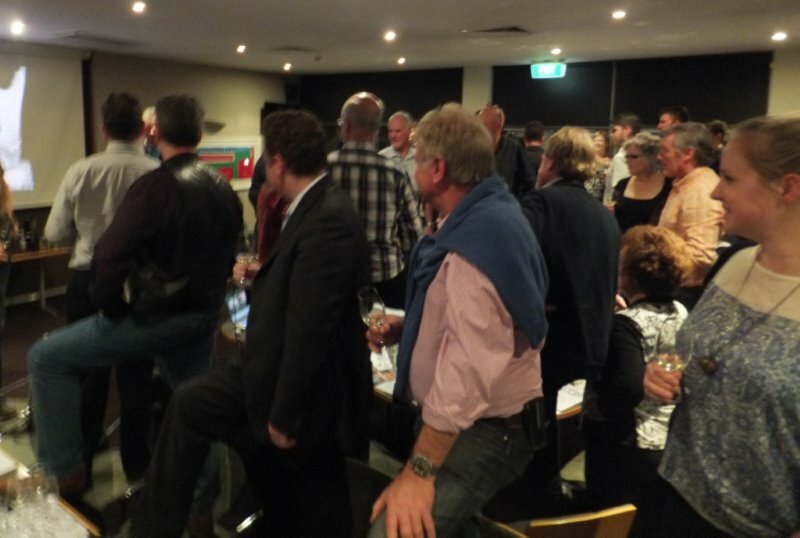 It was a night full of similar banter and hilarious anecdotes providing many laughs for all in attendance. Jim confessed that when he begins nights such as this he doesn’t know what he’s going to say, much like fellow Scotsman, Billy Connolly. Hence, many rambling tangents were followed – and some great stories developed from them. So many whisky fans in one room! He began with praise for Tasmania, which filled my heart with pride. He had just attended what he described as his “twentieth tasting in two days” and was impressed with the Lark and Heartwood that he tried. Tasmania, he said, has many similarities with Scotland, and while at first this induced some home sickness, he confessed that after six drams of Lark whisky his pining was miraculously cured. His spiel concluded with the highest praise of all, confirming a belief many Tasmanians hold: “Tasmania is the new Islay”. 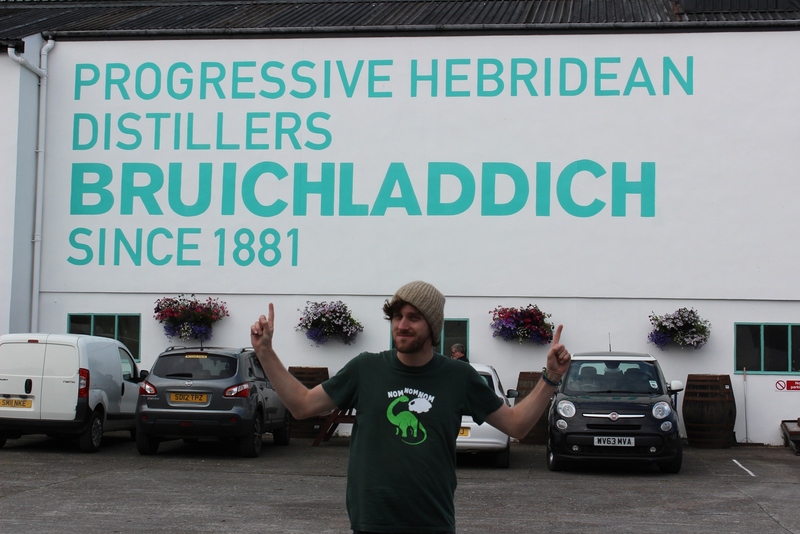 The tales continued throughout the night, and we heard the story of how Jim followed his heart to the closed and neglected Bruichladdich distillery and re-employed much of the same crew that used to work there: getting the band back together, Blues Brothers style. He mentioned how the decision to make gin saved the distillery in financially troubled times, using the “traditional Scottish tactics of bribery and corruption” to convince a fellow gin maker from Birmingham to provide some know-how. ‘The Botanist’ is now a highly regarded product – even by me, the non-gin drinker! Other stories were less relevant, but just as entertaining. For example the time in the 60s he met psychedelic rock star, Donovan. Donovan had, remarkably, been sent to Islay to get ‘clean’; the result of which was many shouted drams for the locals, and Donovan leaving the island in an ambulance. There were many, many more tall tales told as the whisky flowed: creative use of Heinz salad cream bottles – and Big Angus’ wellies, tasting notes for Japanese students that were lost in translation, advice for every male present to seek themselves a ‘man-cave’, and of course the knock on the door of Gunta (just after Scotland had defeated England 7-0 in the world cup final). Perhaps the most poignant of all, however, was Jim’s belief in his community. 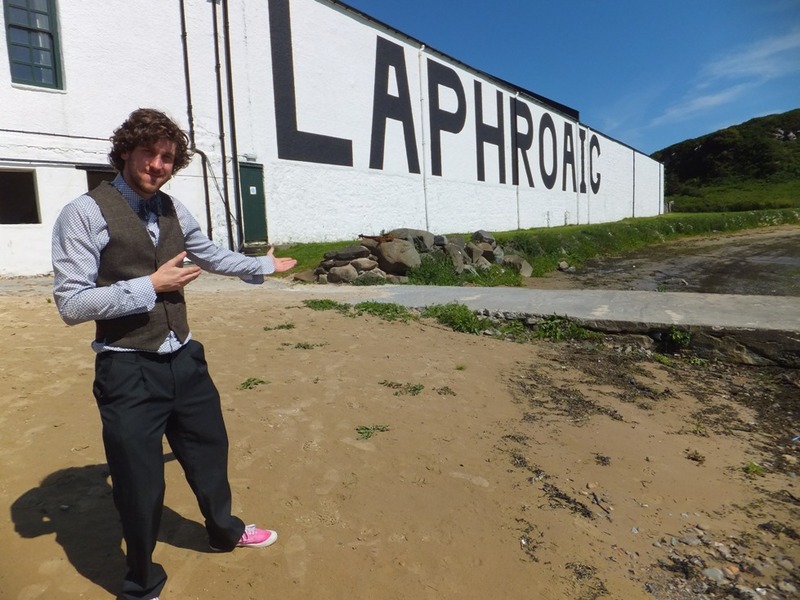 Bruichladdich employs over 70 people on Islay. Many larger distilleries have no more than 6 staff members. It was that sense of the island coming together that instilled Jim with more pride than anything else he had achieved. 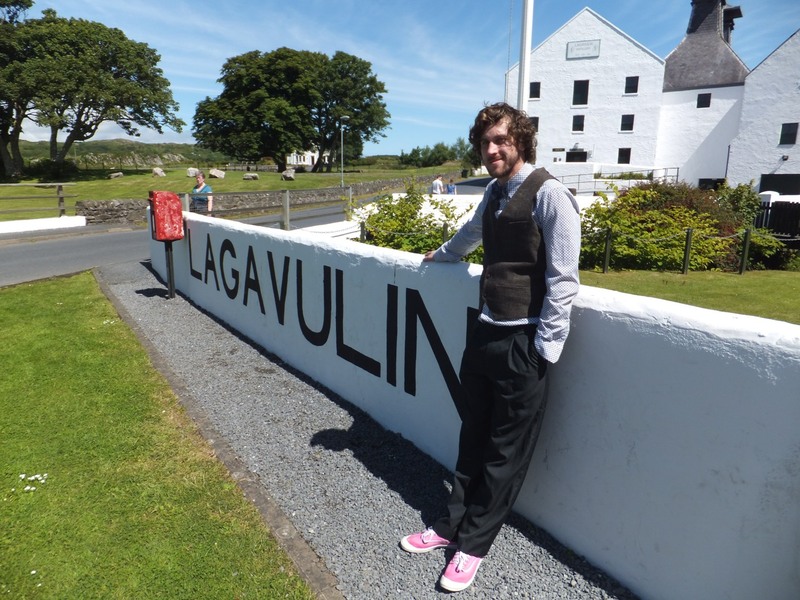 I mentioned to him afterwards that of all the distilleries I had been to, Bruichladdich had the best people. “And isn’t that what counts?” he said, clearly chuffed. 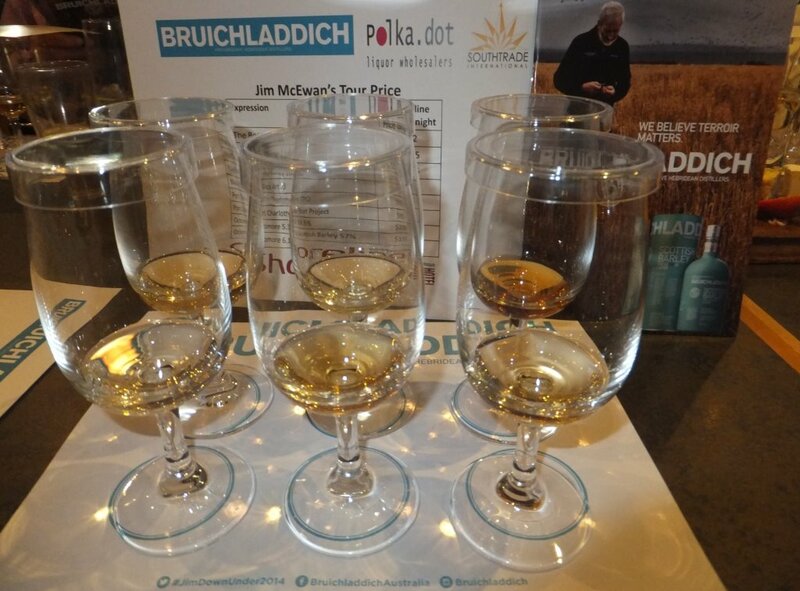 Half a dozen drams – a quiet night for Jim McEwan! The whisky, while not the main attraction of the night, was exceptional. The Laddie Classic was lightly salty, reflecting the conditions in which it was matured, but it was also floral and fruity. The Islay Barley was next, maltier, stronger, and one of Jim’s proudest accomplishments, having been grown, distilled and bottled all on site. “How many distilleries in the world can lay claim to that?” he asked. Redlands’ Dean Jackson just sat quietly. This was followed by the Black Arts 03.1 – a whisky described by Jim as a “protest whisky”. It was his raised middle finger to the marketing team, to whom he would not reveal its cask types. He challenged us to guess for ourselves. The popular answer was sherry, although he was quick to point out that this was not the sole ingredient. “How many people have actually bought a bottle of sherry in the last six months?” he asked. In the entire room only two people raised their hand. “Sherry is dead in the water. We need to look further”. There were certainly some wine notes in amongst this whisky – it reminded me strongly of the Dalmore Cigar Malt Reserve. Whisky number six was the famous Octomore 6.1, the most heavily peated whisky in the world. I must confess to having sampled this dram before and adoring it – although this experience was slightly different to the way I previously tried it. Jim encouraged us to take a generous glug, hold it in our mouths for 30 seconds before swallowing. He compared this sensation to Usain Bolt bursting from the blocks and after trying it, I could understand the analogy. I must confess that I could not tell you much about whisky number four. At that point in the evening, Jim declared we were to do a highland toast. Left foot on a chair, right foot on the table we enthusiastically repeated many (mispronounced) Gaelic words, waving our glass about (trying not to spill any), before taking a generous swig. Amazingly, even after the quantity of whisky that had been consumed, no glasses (or bones) were broken, much to the relief of the nervous looking bar staff. Out of all of us, Jim was the most spritely! The night concluded with a rendition of the Scottish national anthem – or so we thought until the Proclaimers ‘I would walk 500 miles’ blared through the speakers. Jim stood up the front and conducted our raucous chanting. As the people filtered from the venue at the end of the night, I left enlightened, inspired and thoroughly entertained. 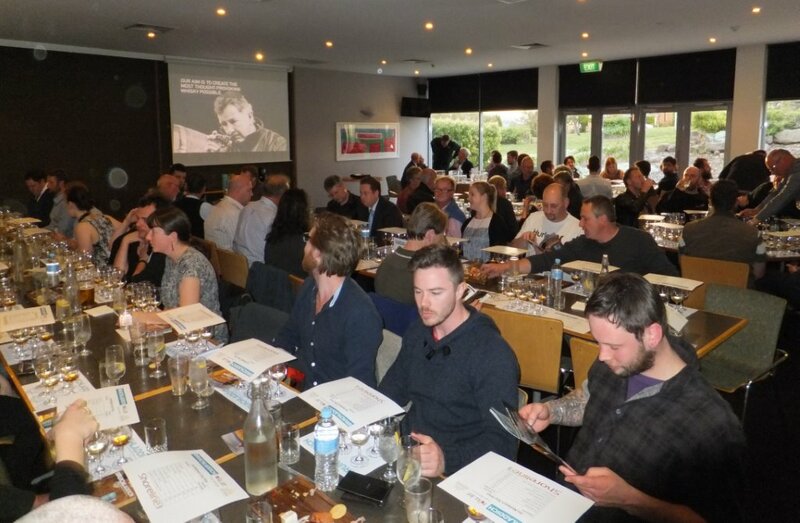 Never had the community that accompanies whisky drinking been so apparent in Tasmania. We were united as one, all in awe of a man who we regarded as an idol: the master distiller. 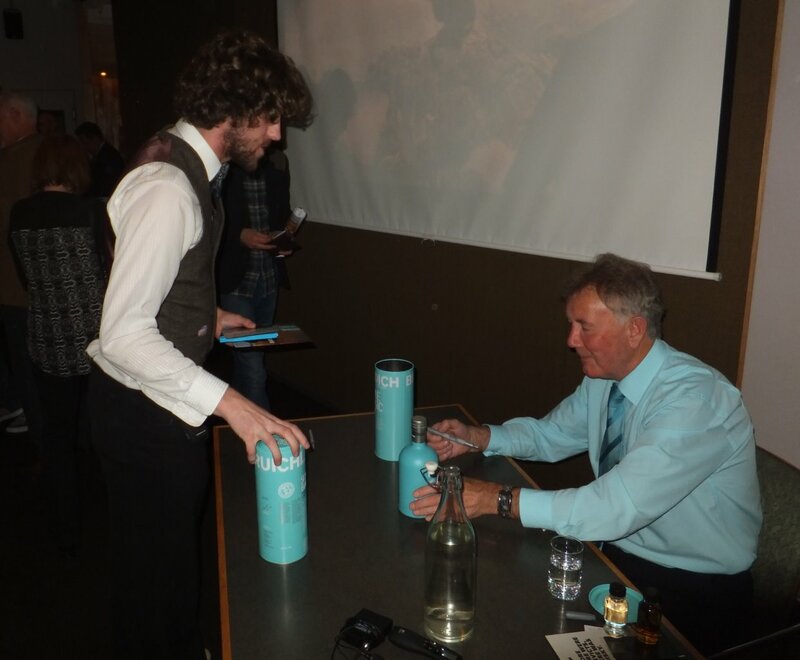 However at the same time upon meeting him and discovering how humble and down to earth he was, we were also able to describe him with the highest praise an Australian could give: Jim McEwan is a good bloke. This bottle was coincidentally the same colour that Jim was wearing! And a bottle I will treasure forever.